Samsung has no qualms taking creative liberties with its emojis, even if they sometimes take on an entirely different meaning. For the most part, Samsung's emoji set falls in line with the names chosen by Unicode, or how other companies display their emojis. But there are some Samsung emojis that either take on a meaning of their own or fall pretty far from what Apple, Google, and Microsoft display on their respective operating systems. 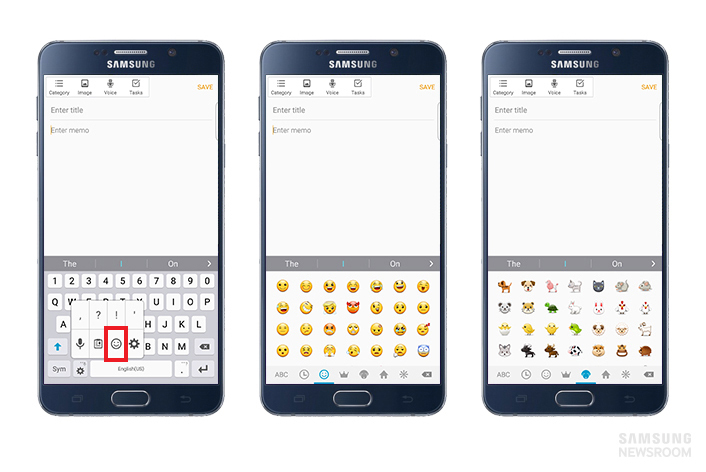 Above: Samsung emoji keyboard. Image: Samsung Newsroom. Take the 👿 angry face with horns, for example, which looks like a simple round emoji face with horns on other platforms. On Samsung devices, the angry face is that of a devious imp, which matches its Unicode namesake. In this case it appears Samsung stuck to the original pitch. Then, there's the 👾 alien monster. On many platforms the alien looks like a patented space invader, based off the original video game character. But on Samsung devices, the alien falls more in line with Hollywood's depiction: it has an insect-like face and bulging veins. The trend of adding random initials to Samsung's emoji font has been going strong since 2016. Here's the 📛 name badge, which carries the initials "LHK." Samsung's 😱 face screaming in fear appears to be gasping for its last breath. Perhaps the most controversial of Samsung's emojis is its interpretation of the 🍪 cookie, which looks like a salty biscuit rather than a chocolate chip cookie. It certainly ruined Cookie Monster's day. Of course, Samsung's emojis aren't all outlandish. Sometimes are just cute. The 🐘 elephant is a perfect example with the heart blowing out of its nose. Aww. Samsung also has a affinity for utilizing green symbols for some emojis rather than churning out pint-sized versions of the real deal. You'll see these particular symbols pop up in other parts of the emoji library, too, like the ⚓️ anchor and ⚖️ balance scale. And of course, what better way to advertise other products than through emoji? Samsung took after Apple on this, which has long been emblazoning its symbol on the 👩‍💻 technologist's laptop. An article about Samsung emojis couldn't leave out the on-again-off-again relationship Samsung has with certain Japanese emojis including 🎌 crossed flags, 🗾 map of Japan and 💹 chart increasing with Yen. 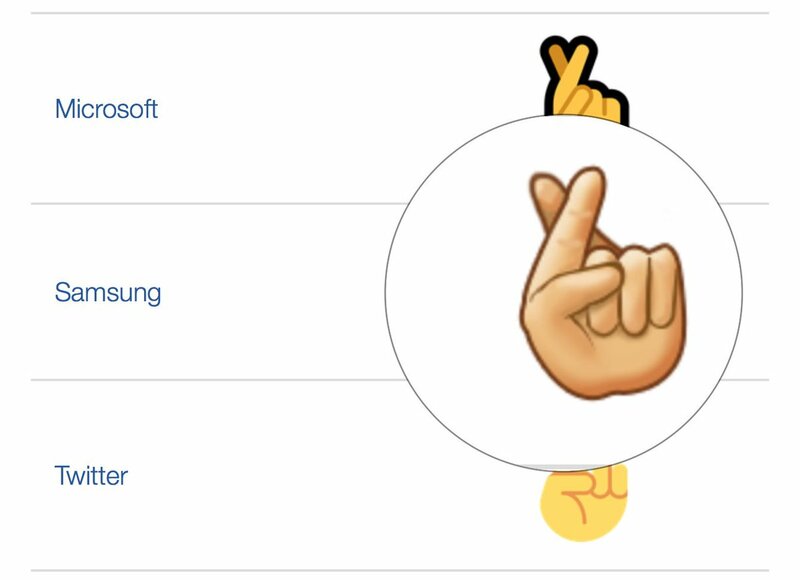 A last bonus is an emoji that has been fixed, but did appear in previous versions of Samsung's emoji font: the six-digit 🤞 crossed fingers emoji. This came out in 2016 and was changed to a more regular hand in 2017. There's a chance that Samsung could change the look and feel of its emoji set with the next major software update, given the complete emoji design overhaul recently from Apple, Google, and previously Microsoft. Samsung has made a number of emoji changes over the years, but has yet to replaced its entire set like other vendors have. With Android 8.0 officially on the market, Samsung devices are soon due for an upgrade. Perhaps the company will finally swap out that biscuit for a chocolate chip cookie in their next release. Guardian: Why are Samsung's Emojis Different? 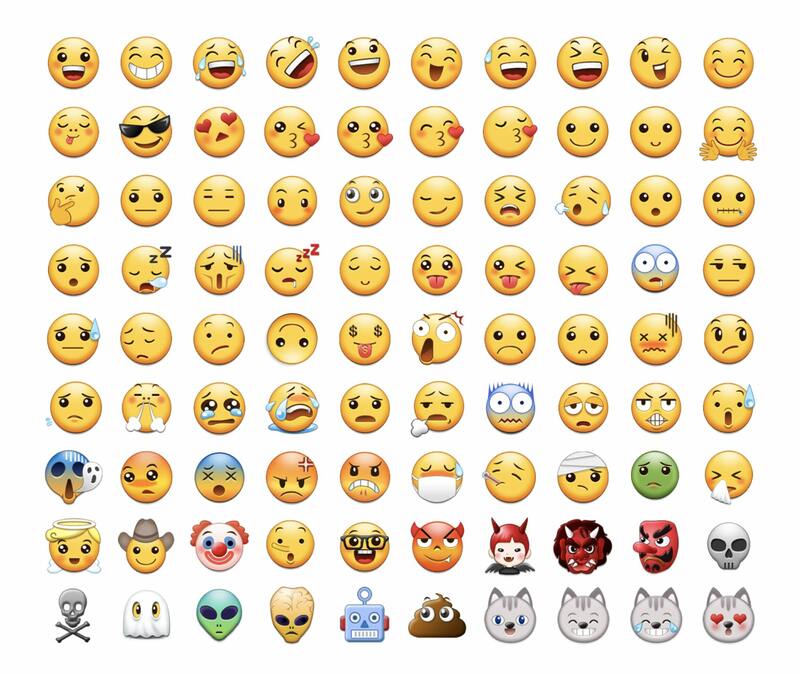 Editorial note: We've reached out to Samsung multiple times over the past 36 months to discuss their emoji designs and implementation choices but so far they have declined to comment. Samsung: we'd love to share your side of this! Florence Ion is co-host of podcasts All About Android and Material, and regular writer covering Android and smart home technology. Flo contributes to Emojipedia on Android topics.